Uber launched in Nairobi in January 2015, and the service become a hit among the expat community and Nairobi’s tech savvy users. Despite the fanfare and excitement over the service, questions lingered as to how Uber planned to scale up in a country with little adoption and use of credit card services, currently at 10%. All around the world, Uber has been synonymous with cashless payment until last month when it begun piloting cash payments in the city of Hyderabad, India. 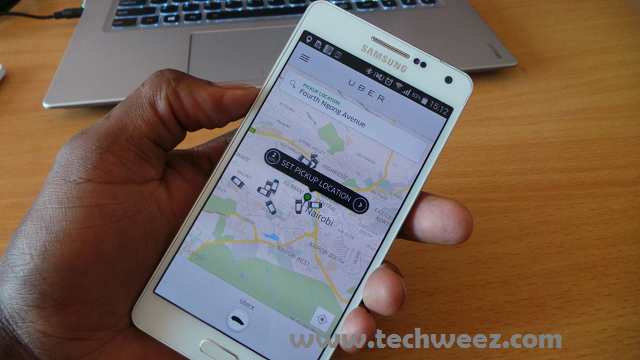 Nairobi is now set to become the second city globally, where Uber drivers will begin taking cash payments. Uber, which operates its Uber X service in Nairobi (UberPop in Europe) will also accept payments made through mobile money transfer services like Safaricom’s M-Pesa and Airtel Kenya’s Airtel Money. Uber is already facing competition from other taxi hailing services such as EasyTaxi, a Brazilian company that has set operations locally and is aggressively marketing its services besides offering a variety of payment options to its Users. The same goes for Maramoja Transport, a Kenyan startup which, has already rolled out M-Pesa payments onto its platform besides accepting cash and invoicing from corporate clients. In addition, Nairobi residents have for long forged relationships with cab drivers and disregard for these personal relationships for technology presents an interesting challenge for Uber’s local operations. All Uber drivers will have an individual Lipa na M-pesa paybill number or an Airtel Money account, to which the customer makes payment. The driver will then remit the proceeds to Uber Kenya and earn as well since Uber gets a 30% commission while the driver keeps 70%. Speaking to Techweez, Uber’s General Manager for Eastern Europe, Middle East and Africa Jambu Palaniappan said that Uber is keen on localizing the service in order to appeal to more local users. The company is also working towards lowering the time it takes for a driver to arrive after hailing. It currently takes the driver 4 minutes to arrive from 11 minutes when Uber first launched. He was however non-committal on the number of drivers signed currently signed up for the service or the number of hails in Nairobi thus far since launch. Uber’s biggest selling point was the elimination of haggling between the customer and the driver over the pricing. The addition of the cash payments does not change this. The price of an Uber ride is calculated based on a base fare of KES 100 that is added to KES 4 per minute spent on the ride, added to KES 60 Per kilometer of travel. The minimum fare cost is KES 300 while it costs KES 400 for cancellation. Uber users will now be able to choose between Cash, Credit Card or Mobile Money options to make these payments.